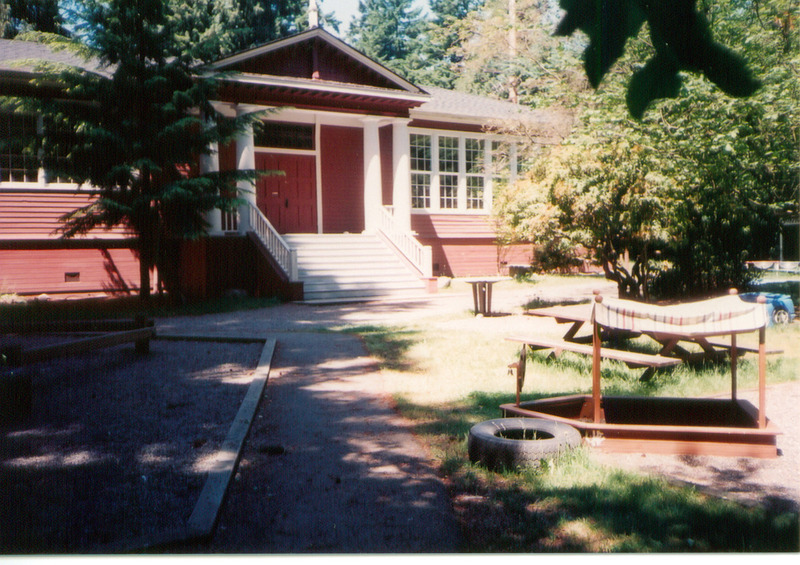 In 1888, the first school on the island was established by the Charles Olds family and was held in the ferry dock warehouse at Calkins Landing. Nine students attended the school, taught by Clarissa Colman, daughter of King County Commissioner James Colman. By 1890, the first permanent schoolhouse was constructed on the island's north end; by 1914, four other schools had been built including one for the island's less populated south end. In 1918, King County School District No. 191, which included Mercer Island, voted to issue local improvement bonds to build Lakeview School, replacing the original south end building (which seated only nine students, according to county superintendent records). The new school featured well-lighted classrooms, a projecting portico, and an ample school yard. To attract teachers to the remote location, the district also built a small teachers' cottage on the grounds. Lakeview School is one of the few in the state to have retained the original teacher's cottage. Similar structures once numbered in the hundreds, reflecting a progressive reform advocated during the tenure (1913-1928) of State School Superintendent Josephine Preston, who made Washington a national leader in the construction of rural teacher's cottages. According to county superintendent's reports, the value of the new property was about $10,000. The first year, more than 20 students were enrolled in the first, fourth, sixth, and seventh grades and classes were held for nine months. The first eighth grade class graduated the next year and for the next two decades the school enrolled both upper and lower level grammar school students. In 1941, school districts 28 and 191 merged to form District 400, and Lakeview's upper level students were subsequently bussed to the East Seattle school at the north end of the island. Two years after the school opened, the local civic association, the South End Improvement Club, held its first meeting in the Lakeview school, thus initiating the building's tradition as a community center. The improvement club continued to meet there for the next several decades. 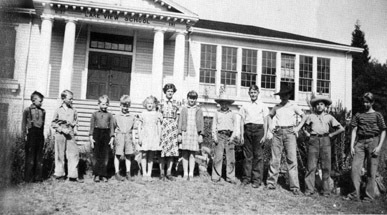 In 1958, the Sunnybeam Nursery School began to hold classes in the building (as it still does today). The Pioneer Youth Club (an offshoot of the South End Club) continues to own the structure. Today, Lakeview School is one of two extant historic schools on the island. The other is East Seattle school (constructed in 1910 it is located at the north end of the island). Lakeview is the last of the half-dozen frame schools built prior to 1920 that formed the original Mercer Island school system. It is also the only structure associated with south end civic groups. The property has retained its historic form, fenestration, exterior fabric, some interior finishes, and the associated teacher's cottage and schoolhouse lawn. In 1988 the building was designated an historic site and placed on the National Register of Historic Places. It is located at the SW corner of SE 68th St and Island Crest Way. A plaque is located to the left of the door on the west end of the building.